Sold by Entronik and ships from Amazon Fulfillment. 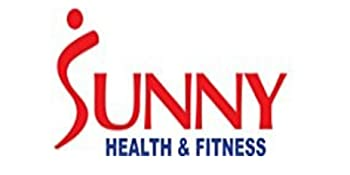 For over 15 years, Sunny Health and Fitness has helped our customers achieve their unique fitness goals. 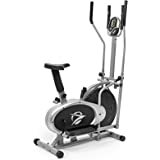 We take great pride in being a premier distributor of high quality health and fitness products carrying only the finest exercise equipment to ensure efficiency while you work out. Sunny Health and Fitness' commitment to your fitness success keeps us motivated to continue to provide products that help you become better. 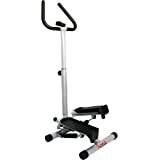 Move up and down with side-to-side action on the Sunny Health & Fitness Twister Stepper. 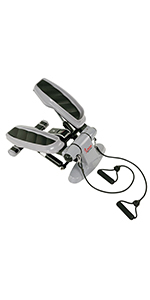 Our Twister Stepper has an adjustment knob to switch up the step motion height, working your deep muscles without putting extreme pressure on bones and joints. 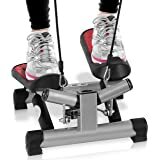 The twist action on this Stepper also helps to tone the glutes and thighs while the attached resistant bands will help work your upper body. 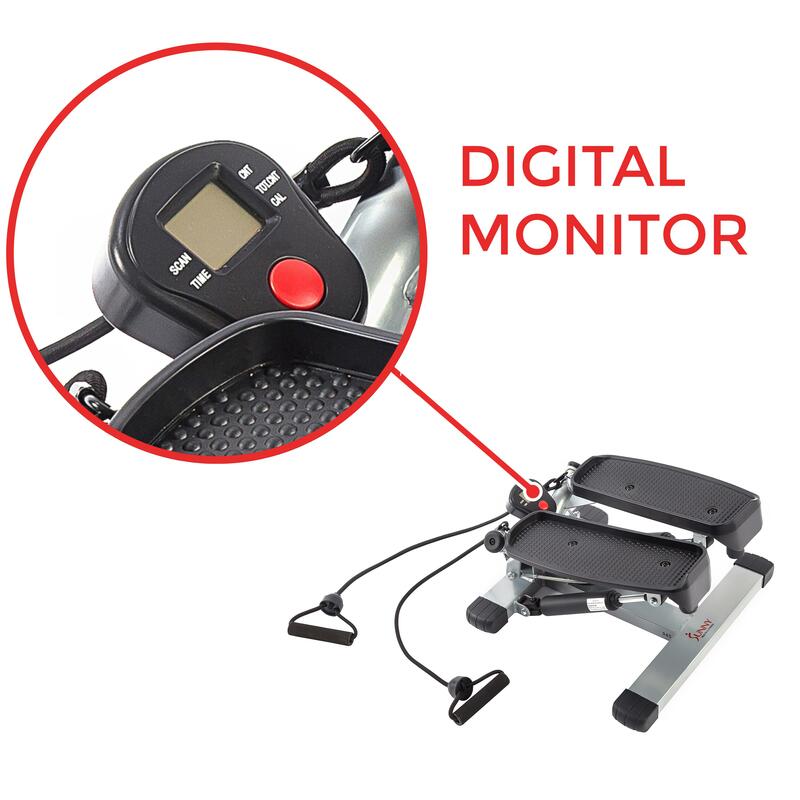 Our LCD display console will help you keep track of Time, Calories, Rep Count, and Total Count. 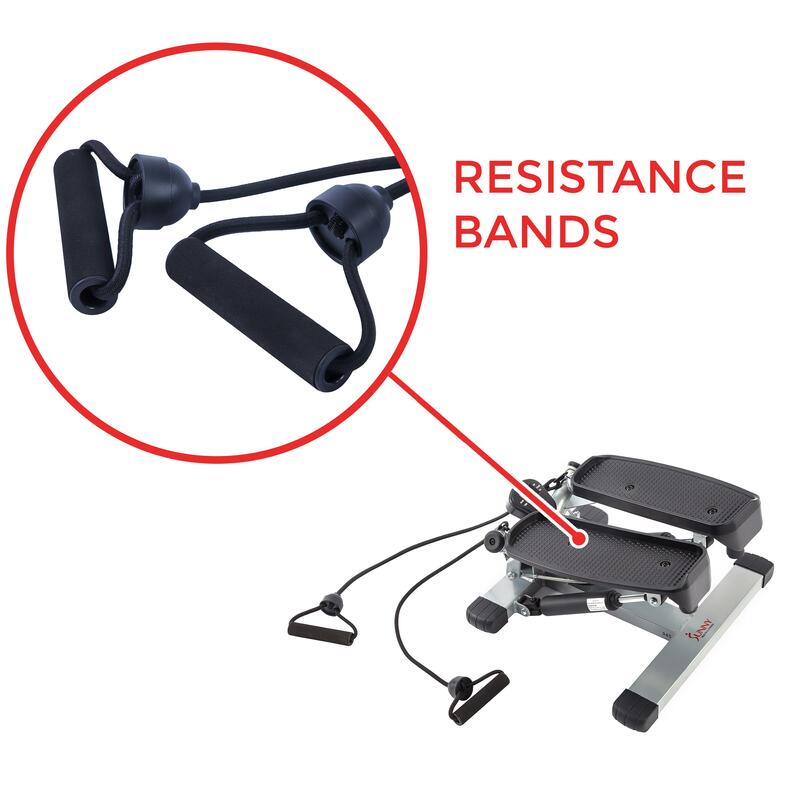 Arm resistance bands target and engage muscles across your upper body. 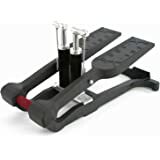 Easily detach the bands from the stepper by unlatching the clips. Switch up the intensity of your workout on your No. 045 with the convenient height knob. 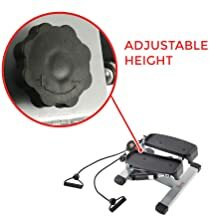 With a simple adjustment, you can increase or decrease height so your No. 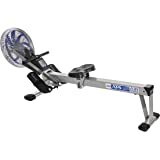 045 workout can remain challenging and effective throughout your fitness journey. 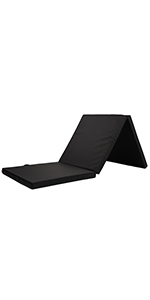 Utilizing this tool allows the No. 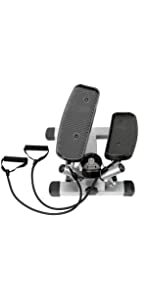 045 user to engage in different and unique routines in every workout which stimulates the muscles differently and creates a variety of patterns of workouts. 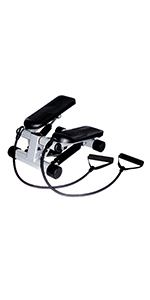 Keep your momentum up and your feet moving safely with the Sunny Health and Fitness Foot Pedals. 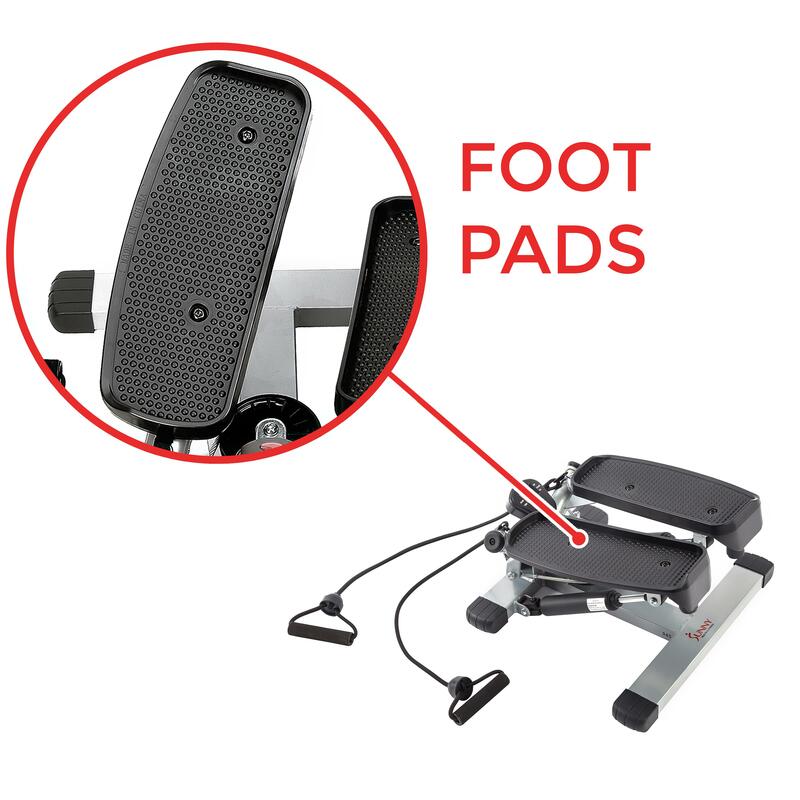 Textured non-slip foot pedals will accommodate all sizes, while the remaining grip will ensure safe footing during the most demanding and vigorous workouts! Tracking your progress on the Sunny Health & Fitness No. 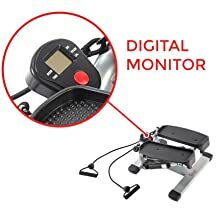 045 is simple with the digital monitor screen! 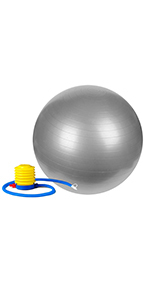 Exercising with your Sunny Health & Fitness No. 045 screen display will showcase the distance and time to keep you focused to achieving any type of personal fitness goals. The convenient scan mode displays your progress to assist you in tracking all your fitness goals. 5.0 out of 5 starsI lost About 80 lbs Within 6 Months. I can't help but give this a 5 star rating. I started off at 260lbs at the age of 19 when I acquired my first. I was unaware of the weight limit, so I ordered a replacement after snapping the plastic portion. Following which, I kept a steady pace, and somewhat cut back on my meals. I replaced my occasional soda with coffee, and ate a bit less when it came to sweets. Nothing much changed there, but my metabolism kicked in after this process initiated. From the month of October to April of the following year, I dropped several trouser sizes, along with going from XXL shirts to M.
My routine consisted of performing about 2,000 steps a day every other day. Sometimes it was skipped, but it only required an hour or so each time. There's nothing like kicking on fast pace music and jogging to this. This is my third purchase of the machine due to me flying to a different state about a month ago. It becomes squeaky over time, but WD-40 fixed said issue. This machine makes my back and hips ache. I'm a fit 5ft 2" female 112 lbs so I did not expect to have any issues. I purchased the item based on the reviews, but despite good reviews, it doesn't warn the consumer of the potential injury due to the iinward tilting of the pads which are extremely hard on the lower back with repeated use. The 'twisting' is damaging. 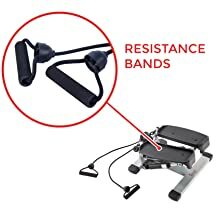 It is misleading because there is no product warning to advise you that this is a potential injury point of the machine. It's was expensive, and unfortunately by the time you have used it enough to realize you are getting injured, the return window is up. Very misleading and deceptive. I hope the company is honorable and will give me a refund if I ship it back. So I bought and started using this little gizmo in July 2016. I will admit it came while my sis was here taking care of my animals and home, while on business trip, so she put it together for me. She said it was not hard. I wanted something that would be better and more fun than walking in place. I wanted to get more steps in my day due to I have a very sedintary work from home job. First thing I did however was remove the bungee hand things. 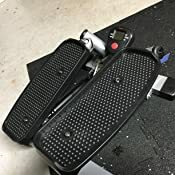 They were just really in my way and I prefer hand weights as they are easier to "feel balanced"
I will agree with some of the reviews that have said when you first start the tension is much higher than after you walk on it for a while. However, that has not stopped me from going from averaging 2K steps in July to averaging 12K now in December. One thing I like to do is "exaggerate my walking stance" meaning I really put my hips and waist into the action. Will you find better stairsteppers? Absolutely! Will you find one for 45 bucks?? Highly unlikely. 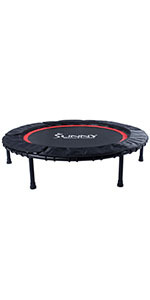 If you are looking for minimal investment but are like me and need something to get you moving, I would recommend this. 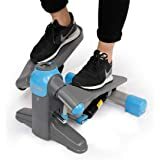 4.0 out of 5 starsGreat Portable Workout, but limit to 10-15 mins??? 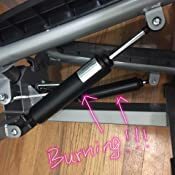 I just received the twist stepper today, and I thought Id write a quick review on my first impression. -The instructions say to limit workouts to 10-15 mins??? WTH? Im assuming thats to prevent a heat build up from friction, but 15 mins? It seems like a good buy and will do exactly what I want it to do. I want to workout every day with enough resistance to maintain my body weight. Its portable enough that I can use it in any room, so chances are I will end up using it very regularly. Thanks for reading! 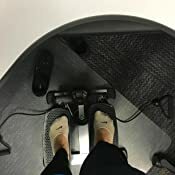 I emailed sunny health and fitness about the 15 minute time limit on work outs. 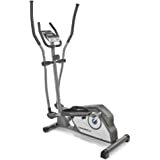 They told me that the people who wrote the instructions took some creative license with this stipulation, and that the machine can handle an hour workout or whatever. That made me feel better about my purchase. Thanks! 5.0 out of 5 starsSunny is my Honey. 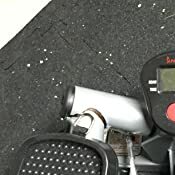 I am very happy with this stepper. I have a disability in my back and also get recurring DVTs and PEs, so I really need to keep my body from being too sedentary. If this was easy to do right away I would be disappointed in it. The tension is great along with the hand help straps. 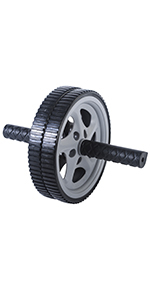 I need strength and I believe this will help me in my legs and elsewhere as well as getting my balance back. I already fell off backward so I need to watch myself until I gain that sense of balance. I'm seeing a Chiropractor and he knows all I am doing to try to help. 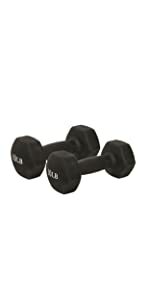 I also have dumbells and a Pilates ring which I need to do a review on. But I am very pleased with this purchase. No squeaks. I'll use W-D 40 once a month as it says to. I know as I keep using it my strength will come and I can tighten up the tension. 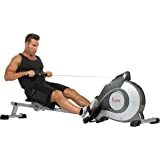 I would recommend this especially for a first-time buyer like me unless you are way high on the fitness scale and looking for a more intense workout. 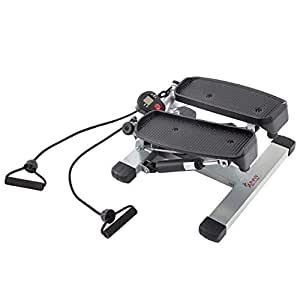 But this has good tension for the legs to get a workout and cardio too. Addendum I have found that my sense of balance needs help. 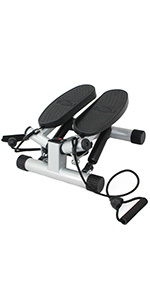 I have fallen backward about 4 times with this stepper. So if you have balance problems I would definitely go with the handle bars. I have even bought some piping to use to hold onto but not being stationary it does not do the job right. I know it seems like a waist but I am going to invest in the one with handlebars. 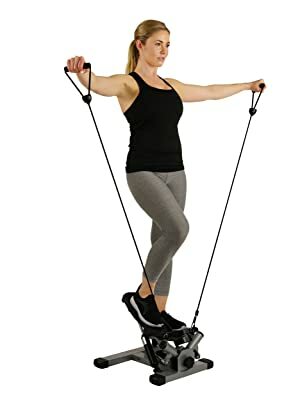 I'm so afraid I am going to break my neck yet I do need this type exercise.